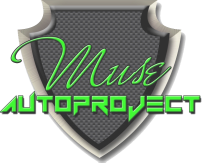 Muse Autoproject is a top of the line collision repair facility that has been serving the West Los Angeles area for about a decade now. Our qualified staff understands the vehicle restoration process, and we’re here to help you navigate your way through it. We work with all insurance companies, and once you drop off your vehicle, we’ll take over from there. Our years of experience will help you get the quality repairs you deserve and bring your car back to its pre-accident condition. We’ve built our reputation on putting the customer first. Your satisfaction and trust is important to us and are key to a good working relationship. The attention to detail and friendly staff will help you make the best of a bad situation, and we strive to make it as stressless as possible.